I am not a fan of spiders, I’ll admit. I like when we keep a nice distance between ourselves. But, I cannot deny that they create beautiful work. Spun as delicately as lace. And the strength in that interconnected filigree of thread is incredible to behold. 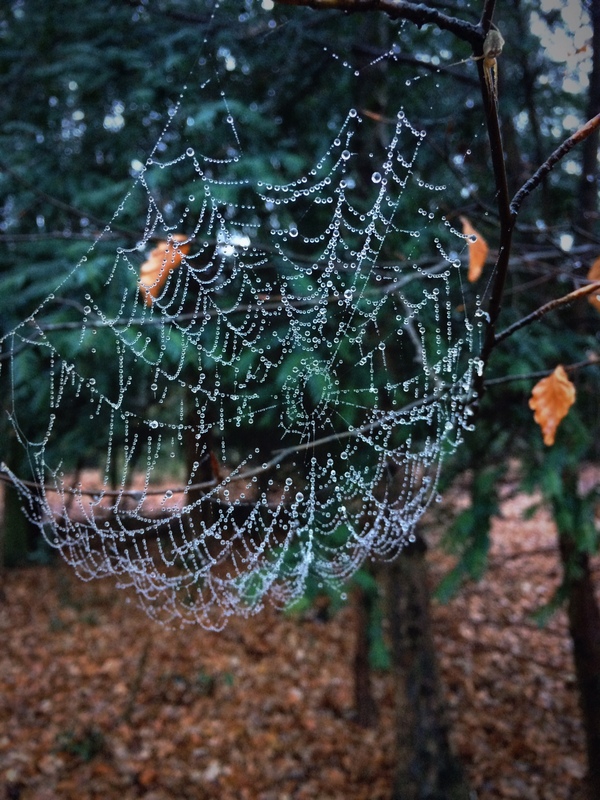 On my walk this morning, dew hung heavy from every surface imaginable and I spotted spider web after spider web that were bejewelled with dew. 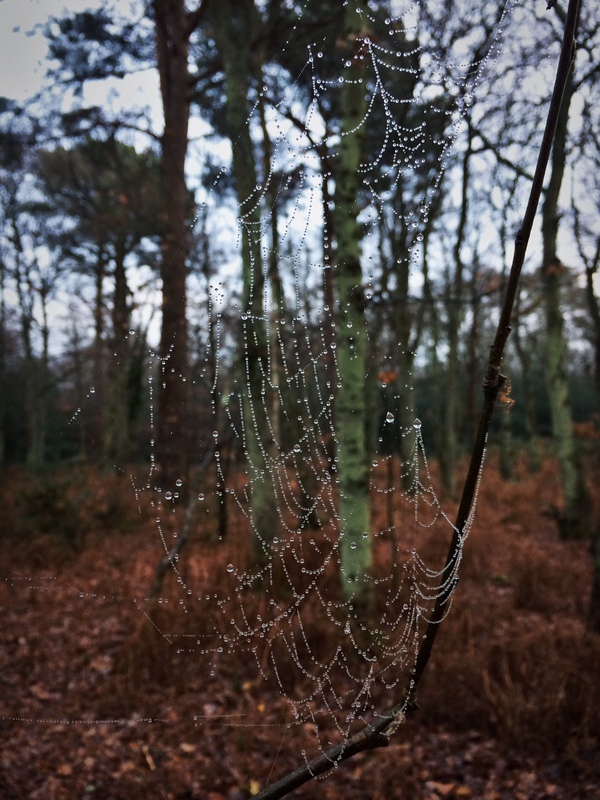 When the murky morning light hit them, it was almost as if they were studded with diamonds. 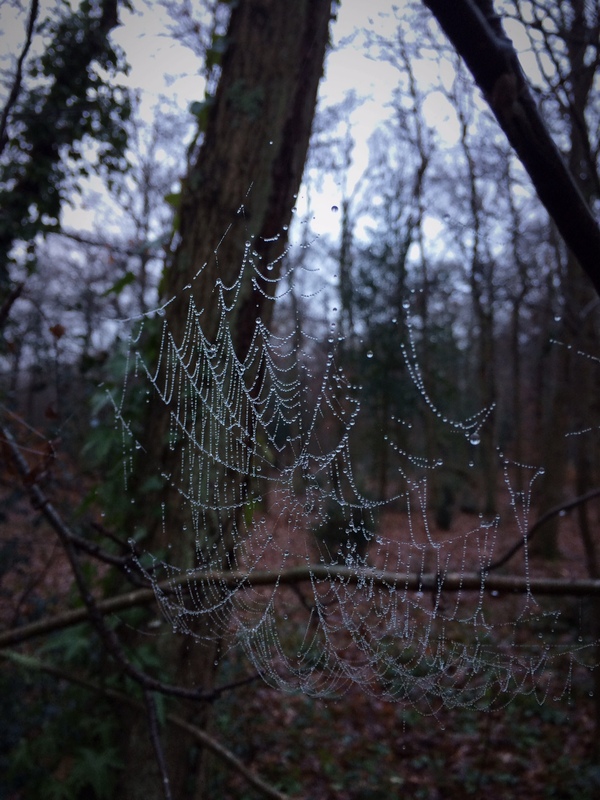 This entry was posted in Beauty in the Everyday and tagged photography, walk, Walks, woods on December 12, 2016 by jennifermichie.